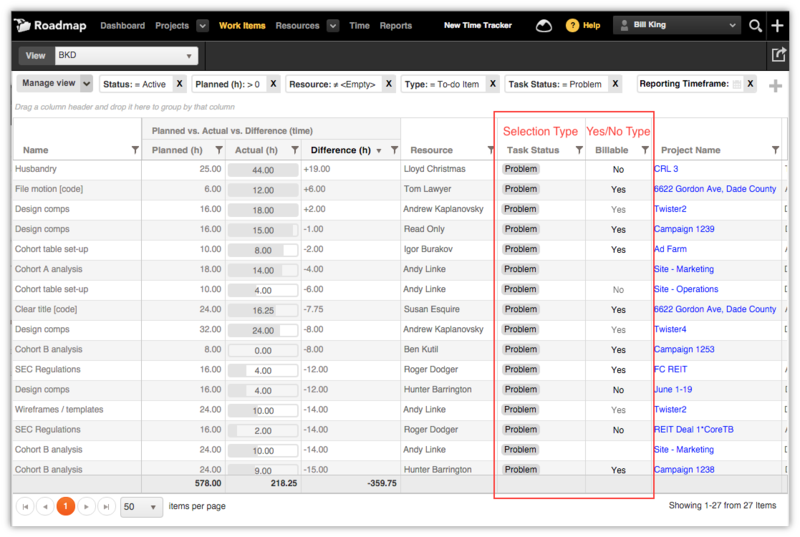 Custom attributes power your custom reporting across Roadmap. 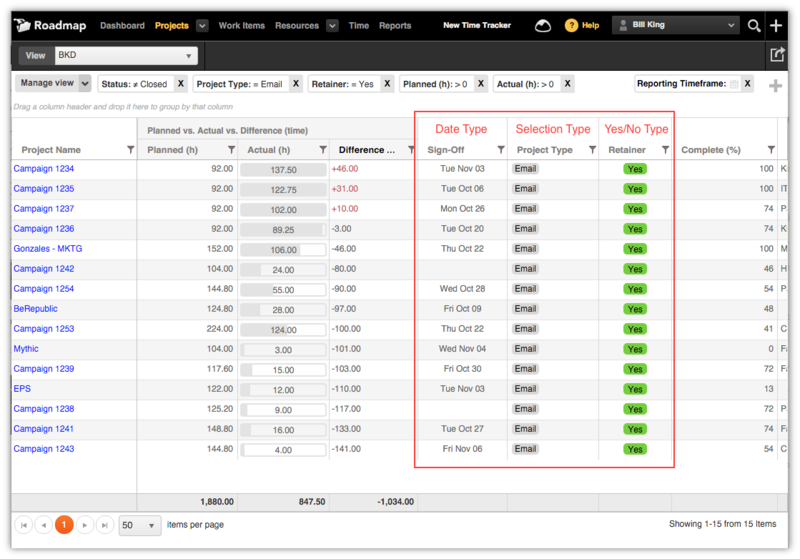 Attributes are criteria used to sort, filter, report, or otherwise characterize projects, resources and work items (see below for highlighted examples). Go to Account Settings > Projects to create and manage. Go to Account Settings > Resources to create and manage. Go to Account Settings > Work Items to create and manage.